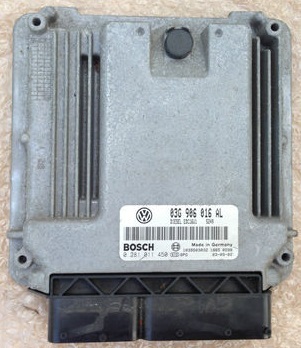 It is a Bosch EDC16U31 ECU and we are able to fully test and rebuild these units. This entry was posted in Chrysler, LATEST NEWS and tagged 0281 012 129, Chrysler ECM / PCM Problems, Chrysler ECU Testing + Repairs, P05033299AE by smartAjaz. Bookmark the permalink.